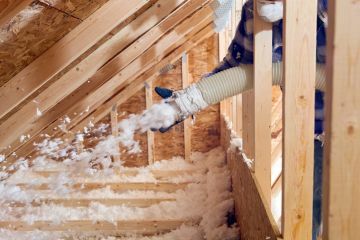 Are you looking to decrease your energy consumption by adding insulation to your attic? Insulation provides many benefits. It reduces drafts moisture from entering your home and protects against heat loss. Proper insulation of your home improves your comfort and decreases energy expenses. Since 2003, LYF Construction has provided blown in attic insulation to local residents. We've got the experience and skills necessary to professionally insulate your home. LYF Construction's home insulation team provides optimal attic insulation for at a fair price. Call LYF Construction today for more information on our blown insulation offerings.